Someone’s enjoying a two-game winning streak. The Monsters of the Midway (3–2) continued to add to their win total against Allegheny (3–2), posting a 10–0 victory this past Saturday. The Maroons’ victory on Saturday demonstrated the brand of “Chicago football” that fourth-year kicker and punter Jeff Sauer hoped to see prior to the game. The story of the game was defense, defense, and more defense. The South Siders got on the board late in the first quarter, on a 29-yard touchdown pass from third-year QB Vincent Cortina. He found first-year wideout Sam Coleman in the end zone for the rookie’s first career collegiate touchdown. After the early score, the points total in the game did not change again until about mid-way through the fourth quarter. 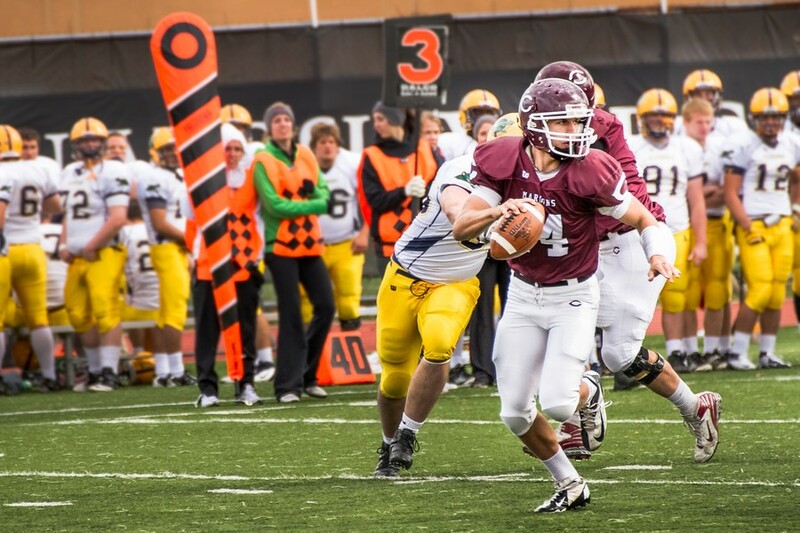 At that point, Sauer’s 36-yard field goal rounded out the Maroons’ scoring at 10 points on the afternoon. The important message to take away from this is precisely that there were takeaways––as well as sacks and good blocking. First-year defensive back Vincent Beltrano forced a fumble on Allegheny’s last drive of the game, while third-year linebacker Ben Wade had intercepted a pass at midfield earlier in the game. They limited Allegheny’s quarterback Mike Person to 24 of 33, with his longest pass a mere 12 yards. “[The defense] played extremely well, I was very proud of them,” fourth-year wideout Dee Brizzolara said. “They did their jobs and executed their assignments well.” Brizzolara did a good job himself, leading the team with 7 catches for 80 yards. As always, however, there is room to improve. Two areas the team has pinpointed are offensive production and penalty yardage. On deck, the Monsters of the Midway will match up against the Wittenberg University Tigers. So far, the Tigers have roared out to a 4–1 record, solidified by consistent offensive production. There it is again, that mention of Chicago football. As long as the Maroons keep playing that brand of ball, they feel they have a shot at the elusive 10–2 record.